The nylon world leader, Invista from Wishita, Kansas, USA, and the bio-technology specialist LanzaTech signed a joint development agreement to convert carbon monoxide waste into butadiene and other chemical feedstocks. The producer of “Lycra” and other famous “Coolmax” fibers, Invista is developing and producing high added value chemical polymer and fiber products. Invista’s polyester premium fibers are used in sportswears, interiors materials and automotive industry. Invista is also a premier licenser of technology for the production of polyester, polyurethane and nylon. LanzaTech is a bio-technology company, created in 2005 in New Zealand, to focus on low carbon fuels exempted from food or land resources. Since then LanzaTech established headquarters in Roselle, near Chicago, in Illinois, USA. LanzaTech is investing in research and development about gas fermentation, synthetic biology, Microbiology, Analytical Chemistry and their related manufacturing processes. LanzaTech patented a microbe to convert gas to liquids. Using industrial waste gas as feedstock, LanzaTech‘s technology is not limited in resources as could be food crops and associated lad produced resources. These resources are available locally at low costs and their re-cycling contributes directly to reduce the green house gas emissions. 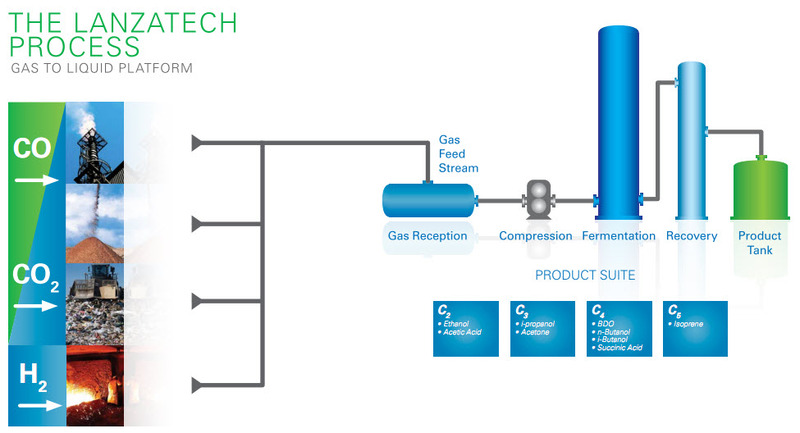 The LanzaTech patented microbes act as bio-catalyst on the gas fermentation to convert it into liquids. Discovered in the intestinal tract of rabbits these bacteria can break down carbon monoxide and carbon dioxide to convert them into ethanol atoms. In January 2012, the Malaysian national oil company, Petronas, has decided to participated to the third found rising round organized for investors to support LanzaTech development. Petronas’s venture found called Dialog Group and the Malaysian Life Sciences Capital Fund decided to bring $55.8 million capital expenditure into the bio-technology company. In addition to the conversion of waste gas into ethanol, LanzaTech is working on the genetic modifications of its reference microbe to produce butanol and propanol at industrial scale. With these new founds, LanzaTech is deploying its developments from transportation fuels to the building blocks of the chemical industry. 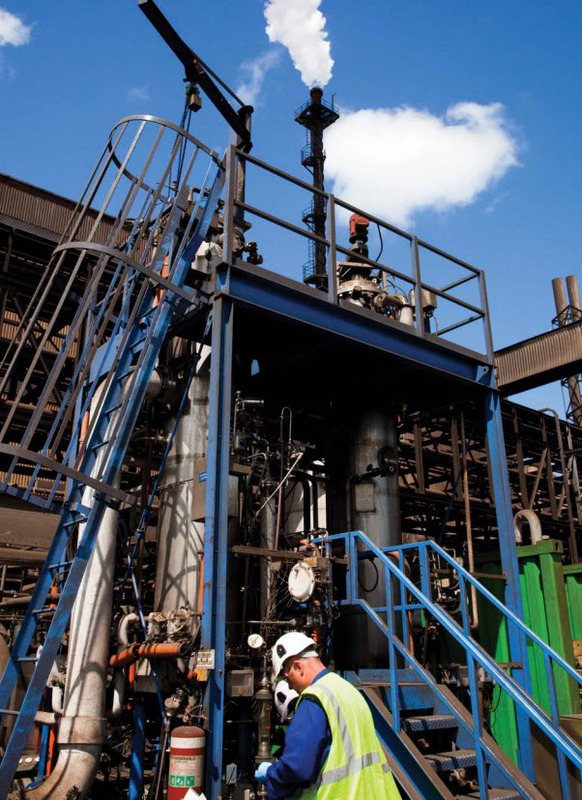 With their joint development agreement, Invista and LanzaTech agreed to develop butadiene from carbon monoxide in using LanzaTech‘s bio-catalyst gas fermentation process. This butadiene is mostly used for the production of synthetic rubber out which Invista owns the licenses to produce adiponitrile (ADN), a critical intermediate to nylon 6.6. Through the innovative carbon monoxide-based bio-catalyst gas fermentation process, Invista and LanzaTech are aiming at developing a new generation of bio-chemical fibers leaving the lands free for food. The main criterion for them is your ability to repay any Wisconsin Payday Loans, they are not interested in your previous attempts, the current one is all that matters. They were lucky to produce Viagra Sublingual which dissolves under the tongue and penetrates into the blood causing erection faster than any other drugs.